After Chernobyl, the German town of Schönau didn’t want to get its energy from nuclear power. So its citizens turned the town into an energy producer via solar panels and other green carbon neutral sources. Watch the short film by Journeyman Films. Sadly the German government has cut subsidies to the renewable energy industry, saying it’s not sustainable economically. 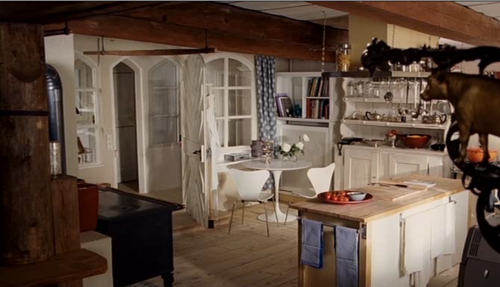 Antique kitchen door in German chalet, part of the set of UK film “Chalet Girl” starring Felicity Jones and Bill Nighy. Fluff film, but great set. Is this a common door design in the alps? I like it despite or perhaps because of its excess, both in aesthetic and the amount of wood used. 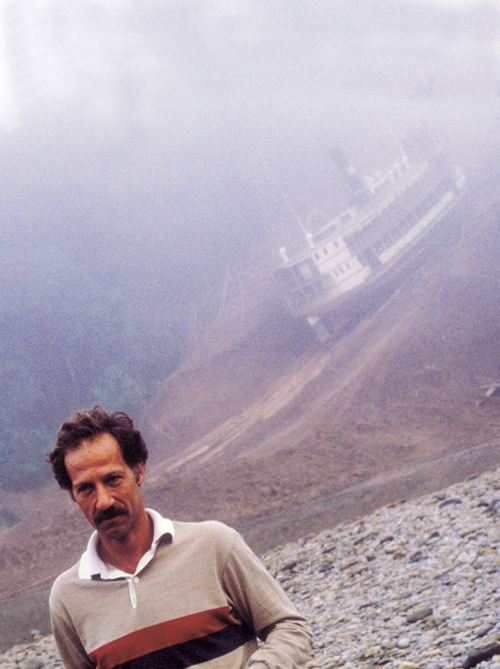 Wish Werner Herzog would come by the studio and narrate our work in that soft, brutal, matter-of-fact German tone. Instead I just re-read the imaginary Herzog diary, below, to wallow in Herzog postmortemese. This morning Sarah said “Dear Diary: I am making a bag out of a trench coat. 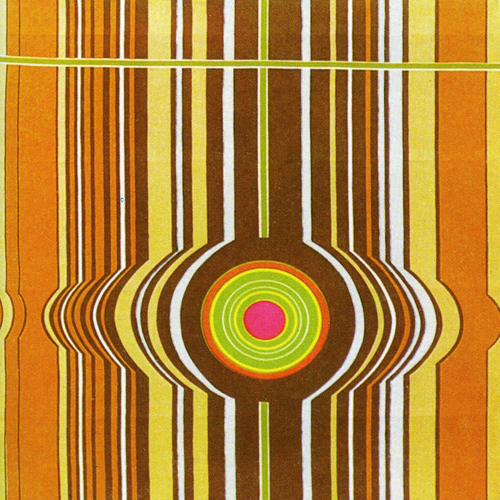 Fantastic 1970s geometric supergraphic textile by German designer Elsbeth Kupferoth, who deserves to be much better known. Interesting short essay on her work and more photos at The Textile Blog. Her unusual colour schemes make these designs much less dated than the more common 70s combinations.